Order now for shipment as early as Monday, May 13. This ring is hand-made in our Los Angeles manufacturing facility and currently estimated to ship on Monday, May 13. Should you need this item before the estimated ship date, please contact our customer support staff at 1-877-627-5094 1-877-627-5094. 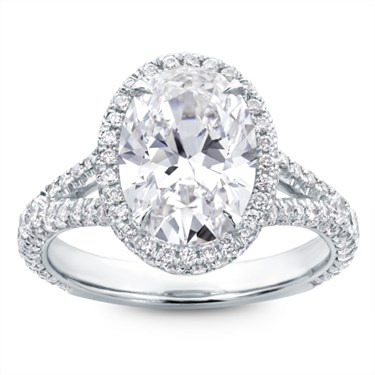 3 row pave and an oval cut diamond are a match made in heaven. 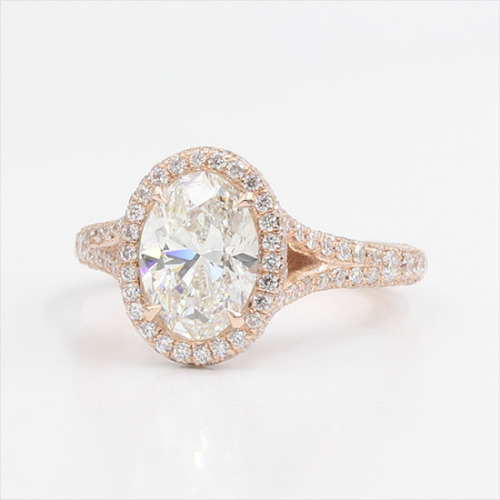 This engagement ring setting is a true show stopper. 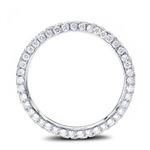 Almost 200 micro pave' set diamonds are set into a custom fit halo that is made to fit the oval diamond that you select.